Our design team is highly creative and is able to sketch out the icons of the future . 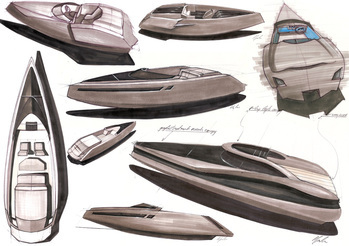 Form follows function at Sigmund which makes our yachts beautiful, usable and tailored to the clients wishes. The first stage is where the imagination runs free. Sigmund specialises in interior design for Yachts, Refits, Private Jet and Helicopter and Residential Projects. Sigmund offers high quality 3D visuals using state of the art CAD software. Clients include both Private and Corporate projects from Yacht Owners, Shipyards, Architects and Private Jet owners. 3D CGI visuals from Sigmund Yacht Design are an excellent and professional way to secure investment and promote your dream and vision. 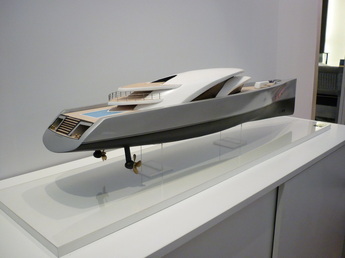 Sigmund uses precision 3D printers to produce impressive high quality Yacht Models.